Studies have shown that students and teachers are enthusiastic about iPad and that it may even make a difference in educational outcomes. There are hundreds of public schools that are now opting for iPads over desktop PCs. The iPad is transforming education—and the education industry. Apple also began offering a free Mac app, iBooks Author, which allows teachers to create multimedia textbooks complete with text, video and interactive features. Why art on iPad ? With iPads in hand kids don’t realize they’re learning. 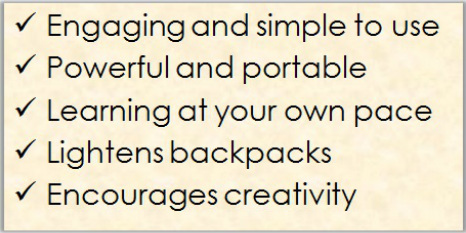 Here at iPad2Art our goal is to make them realize iPad is a fun creative tool and not just a consumption device. We offer two programs for Schools. 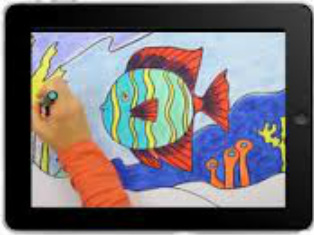 We focus on simplistic approach to introduce Tablet Art to Teachers. These approaches can then be adopted in schools to teach digital art to students. This is half a day workshop and we provide several resources to help teachers practice methods to create art on the iPads with students. We also provide assignments that can be taken to class directly. These workshops are carefully designed for all K-12 grade teachers. These are one hour seminars where we come to school and introduce iPad Art. This workshop provides an introduction to sketching, drawing, and painting directly on the iPad, using your fingers, a stylus, and various art applications. Participants will learn about using basic digital tools, including the pen, pencil, layers and a variety of brush tools.